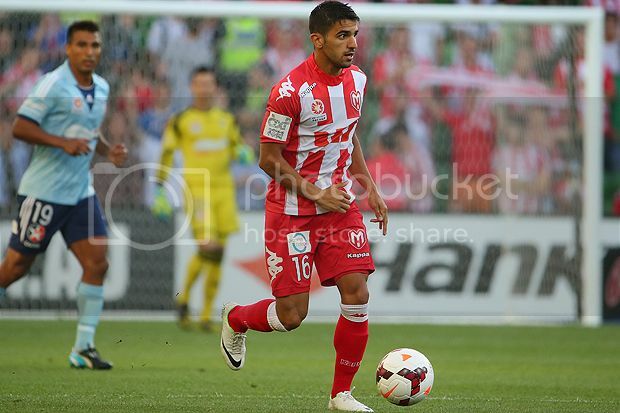 Melbourne Heart FC is represented by three players in Fox Sports' team of the week, with captain Harry Kewell, left-back Aziz Behich and central defender Patrick Kisnorbo rewarded for their contributions in Friday night's dramatic win. Kewell and Kisnorbo feature for the second week running, after their performances in the Round 16 draw against Adelaide United. 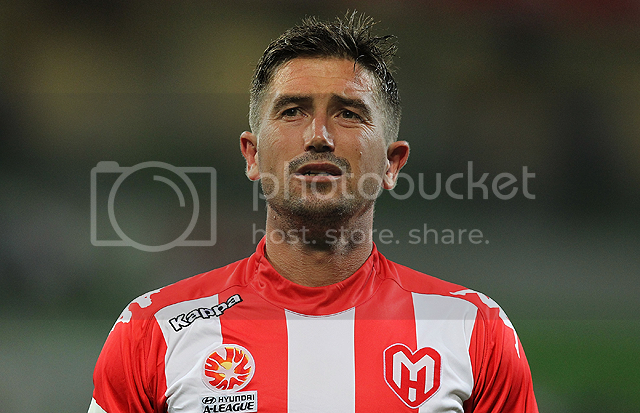 Kewell was again outstanding, and a pivotal part of Melbourne Heart-s attacking forays against Sydney FC in the 2-1 win. The Club captain illustrated a great range of passing, poise on the ball and demonstrated some great flicks and clever passes are part of his repertoire. Kewell almost won two penalties during the match, when his left-footed strike struck Alessandro Del Piero-s arm in the box, and later the captain was felled just outside the box. Kewell also went close to contributing to the opening goal, showing pace down the left-wing during a counter-attack, combing with Aziz Behich and playing the return ball on a one-two with Aziz, only for the left-back to fire wide. Behich was a threat in the early stages of the game, with the left-back pushed into a more advanced role with Head Coach John van-t Schip reverting to a 3-4-3 in the first half an hour of the match. Behich relished the freedom going forward, but also ensured that he contributed to the team-s defensive duties, before slotting into the back four following Orlando Engelaar-s dismissal. Kisnorbo proved his worth for the second week running with another solid performance in defence, keeping the likes of Del Piero and Ranko Despotovic at bay. But the centre back also had a hand in Melbourne Heart-s equaliser, nodding the initial ball through for Jonatan Germano to create a chance, before the Argentine buried the effort on the second attempt. Click here to see the Fox Sports Team of the Week.